The Abu Dhabi City Municipality has called upon property developers to expedite the registration of their real estate development projects under the Real Estate Regulatory Law No. 3/2015, a media report said. A statement to this effect was made during a meeting with escrow account managers and developers and licensing of property units team at the Municipality, reported Emirates news agency Wam. Attendees of the meeting included Abu Dhabi Commercial Bank, Dubai Islamic Bank, Abu Dhabi First Bank, and Al Hilal Bank and Bank al Etihad. These banks were present in their capacity as trustees of escrow accounts for real estate development projects. The meeting was intended to activate the initiative aimed at bolstering partnerships with major institutions to support the comprehensive development drive seen by Abu Dhabi emirate. The meeting also aimed to contribute actively to enforcing the laws governing the real estate sector, opening up regular investment opportunities in line with sustainability standards and values, and nurturing a safe and secure real estate trading environment. Under the new law, the real estate mechanism is now based on several aspects including management and supervision of escrow accounts of real estate development projects. The escrow account, which is based on the best real estate practices, is designed to protect the rights of customers, developers and investors in a transparent and clear manner, besides uplifting the calibre of service offering. This would attract more investment to the land and real estate sector and ensure its sustainable growth. The meeting discussed the key and the latest developments relating to development projects escrow accounts, methods of facilitating and improving escrow account transactions and services, and offering the best, most secure and safest procedures to clients and investors. 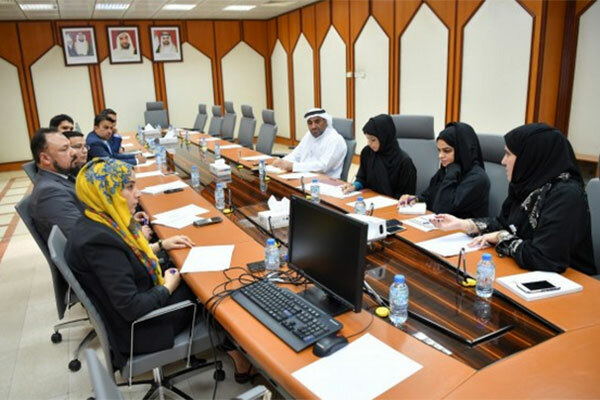 The workshop also reviewed the off-plan sale of property units, as well as the standards and procedures aimed at stabilizing the real estate market and advancing the overall urban development in Abu Dhabi. Such meetings with escrow accounts managers, developers and property owners will help the municipality to follow up law enforcement and protect the rights of all parties in the real estate sector in line with the vision of the government. The Real Estate Law No. 3/2015, which came into effect in January 2016, comprises seven executive regulations that promote the principles of governance and transparency and protect the rights of all concerned parties. These regulations govern the co-ownership of real estate, property owners union, initial real estate register, fees approval, registration of real estate assessors, security mortgages, project escrow accounts, and finally licensing executive regulation. The municipality is keen to hold such meetings with its strategic partners including real estate developers in order to comply with the new procedures and regulations relating to the registration process. The civic body is making studious efforts to facilitate the procedures for developers, escrow account trustees and all parties of relevance to real estate market. In this context, the municipality urges developers to register their projects and property units to protect the rights of all concerned parties. The municipality has so far registered and approved 16 project escrow account trustees; while the number of escrow accounts has reached 24.